Charity Navigator, America's premier independent evaluator of charities, awarded Catholic Charities, Diocese of Venice, Inc. the highest four-star rating for its management of donations for the tenth consecutive year. Catholic Charities, Diocese of Venice, Inc. has received the award for all fiscal years from 2002 through 2012. "Only 12 percent of the charities we've rated have received at least two consecutive four-star evaluations, indicating that Catholic Charities, Diocese of Venice outperforms most charities in America in its efforts to operate in the most fiscally responsible way possible," Stamp said. 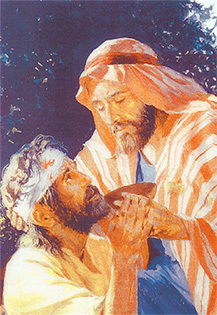 Catholic Charities, Diocese of Venice, Inc. serves the needy in the 10-county area of Southwest Florida regardless of race, creed or nationality. “I am extremely pleased that we have received this top rating of four-stars for the tenth straight year,” said Peter Routsis-Arroyo, President and CEO of Catholic Charities, Diocese of Venice, Inc. “The award provides tangible evidence Catholic Charities is worthy of donors' trust." Charity Navigator is a nonprofit organization that helps donors make informed decisions by evaluating the financial health of more than 5,000 charities. By accepting no advertising or donations from the organizations it evaluates, Charity Navigator ensures that its evaluations are unbiased. The ratings are available for free at the organization’s web site. The organization evaluates charities in two broad areas of financial health: their organizational efficiency and their organization capacity. A set of financial ratios or performance categories to rate each of these two areas are used and an overall rating is issued that combines the charity’s performance in both areas. According to Stamp, organizational efficiency reveals how well a charity functions day to day. Charities that are efficient spend less money to raise more. Their fundraising efforts stay in line with the scope of the programs and services they provide. They keep administration costs within reasonable limits and devote the majority of their spending to the programs and services they exist to provide. Organization capacity, Stamp said, is determined by how well a charity has sustained its programs and services over time and whether it can continue to do so even if it loses support or faces broad economic downturns. Charity Navigator shows donors how well a charity is positioned to pursue long-term, systemic change. Charities that show consistent growth and maintain financial stability are more likely to last for years to come. They have the financial flexibility to plan strategically and pursue long-term objectives, rather than fundraising to meet short-term financial obligations. “These charities can more ambitiously address our nation’s challenges, envisioning and working toward long-term solutions,” Stamp said. 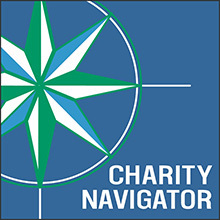 Charity Navigator evaluates all types of charities in all regions of the country. Guidelines for choosing the charities they rate include: organizations that are granted the tax-exempt status 501 (c) (3) by the IRS; organizations that seek donations from individual donors; and organizations that appeal to vast networks of individual donors. For more information about Charity Navigator and Catholic Charities Four-Star rating, visit www.charitynavigator.org.